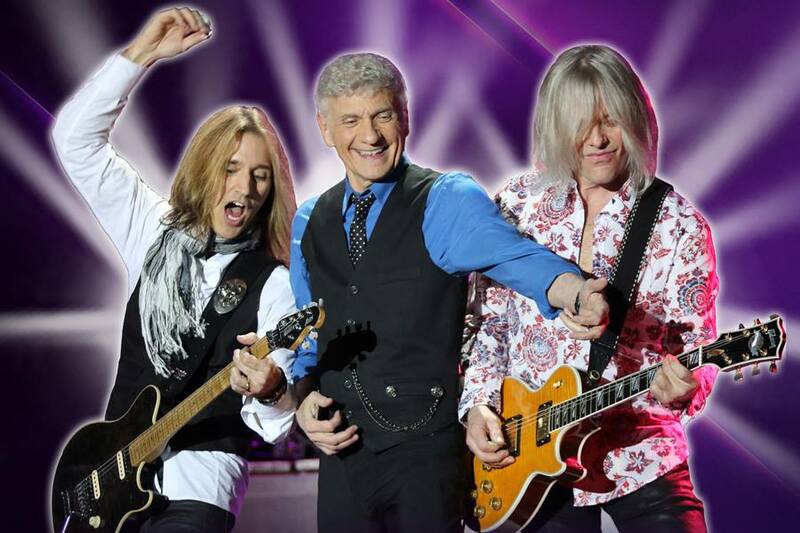 Dennis DeYoung is a founding member of STYX and the lead singer and writer on seven of the bands eight Top Ten Hits. His live concert showcases all the STYX Greatest Hits spanning the 70’s, 80’s, and 90’s. The set includes all eight top Top 10 hits, including “Lady,” “Babe,” “Come Sail Away,” “Too Much Time On My Hands,” “Best Of Times,” “Mr. Roboto,” plus classic rock anthems “Renegade,” “Blue Collar Man,” “Suite Madame Blue,” “Rockin The Paradise,’ and more. His voice is one of the most recognizable in the music world today and continues to inspire new generations of fans…the original voice...all the classic hits…all the memories…one unforgettable evening! Night Ranger truly epitomizes the sound of the 80’s while at the same time transcending it. Since their reunion in 1996, they have brought their guitar-crunching, melodic brand of Hard Rock into the 21st century with unparalleled talent, energy and creativity. Night Ranger’s legendary hits "Sister Christian," "(You Can Still) Rock in America," and "Don't Tell Me You Love Me" are songs that have each significantly impacted popular culture and expanded their ever-growing fanbase since the band’s inception. Night Ranger’s contributions are featured in the Broadway musical "Rock of Ages" and hit videogame series "Rock Band" and "Guitar Hero."